Quite possibly the coolest thing about following the lives of these dogs over the years is seeing the transformations. For many of them, the first time I would've met them they had just come into care or were in transition. Their lives had been upset - whether it was a good life or bad - it was all they knew and change in routine can be tough. Trixie was one such dog - when I met her in 2015, she really didn't want me to photograph her and she was pretty wary of the whole business - but she loved getting brushed and the attention of the other humans - especially her main human at the foster kennel, Nichole. 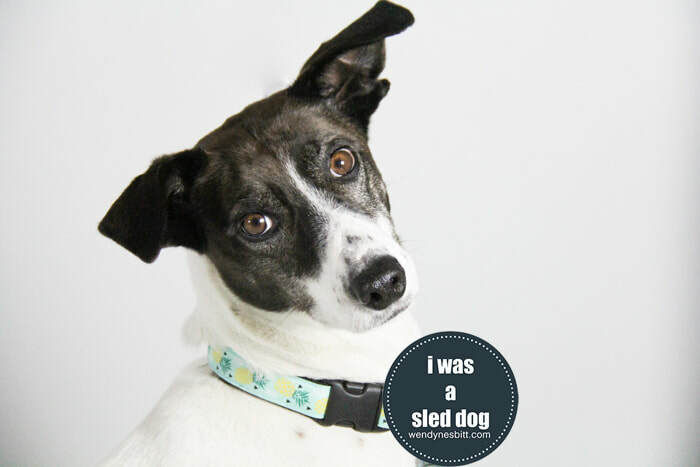 I had photographed her brother Charlie the year before when he was in foster and was amazed yet again... thinking to myself, how is this a sled dog? 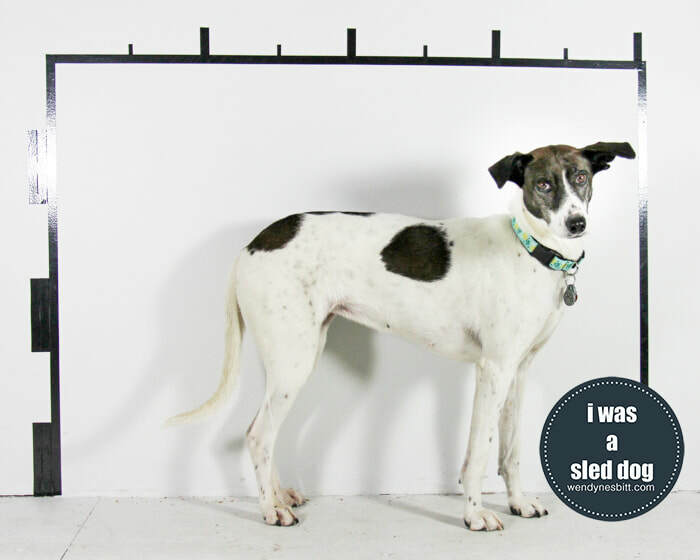 This petite, pointer-cross dog, that looks nothing like an Alaskan sled dog, husky or malamute cross in any way lives outside 24/7, 365 days a year and pulls a sled. So, I was excited to see Trixie again and when she came into my studio she was a totally different dog than I remember photographing before. She was happy and she basked in the attention - giving paws, head tilts and obviously would have rather I used my hands for pets and giving her treats than holding the camera. When her human and I chatted, she was just sweet and chill and even licked treat dust off of my hands!